May has been a pretty fun month for me. I got to paddle a bunch so that was pretty sweet, I turned 34, found out I’m going to be an aunt, and my best friends had a beautiful baby girl! It’s been a good month! The month started off with working a few events. 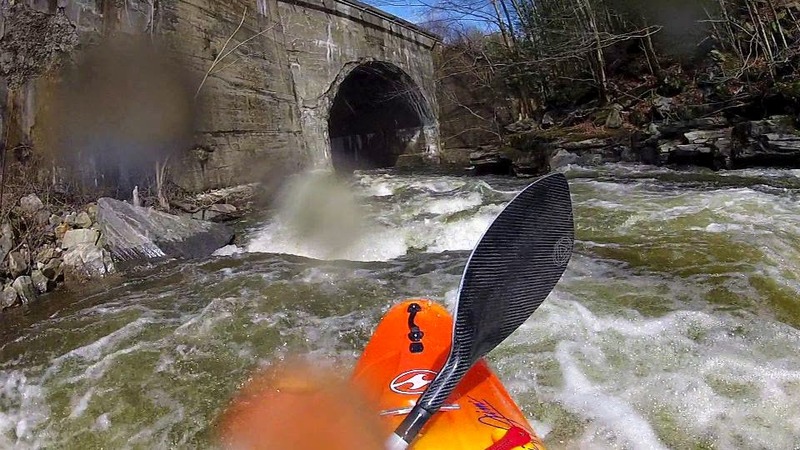 I went to the Saratoga Springs and Old Forge, NY Paddle Festivals. It was fun talking to people about the sport of kayaking and getting them into the right kayak that best suits their needs. 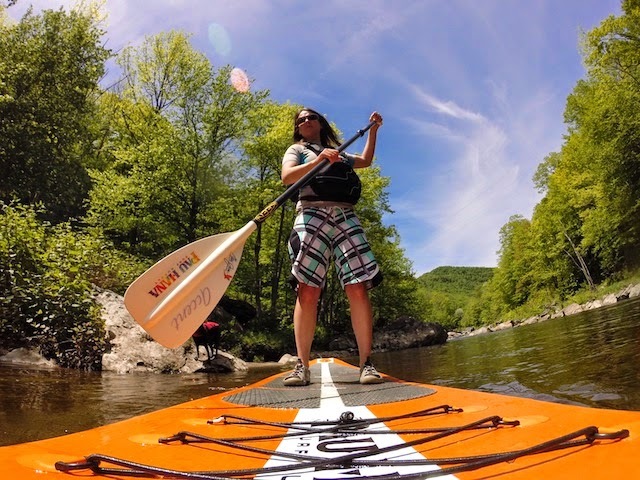 There was a SUP race at the Old Forge event with Reps and customers competing for the win. It was a pretty hilarious race and was pretty competitive at the same time. 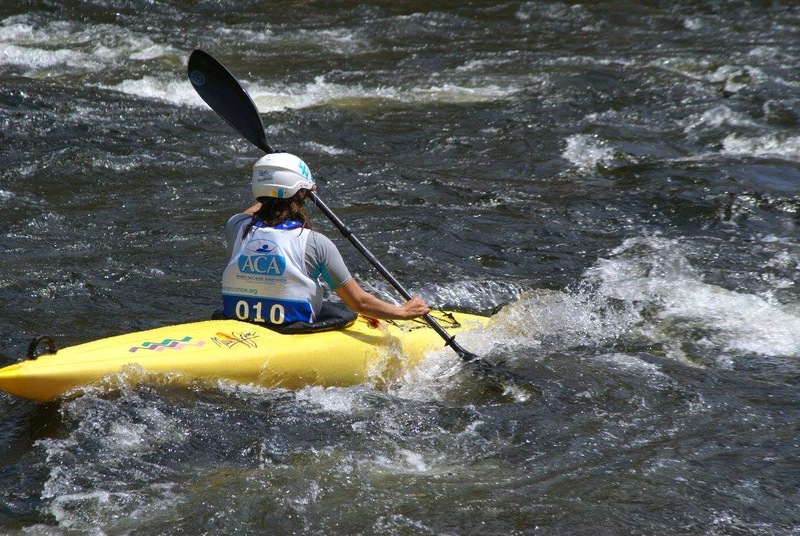 I had a ton of fun racing and was told to stop cross bow paddling! I guess it’s not fast but the cross bows gave me a second place finish in the womens class. I was crushed by the first place winner. The events were fun and I’m looking forward to going back next year! 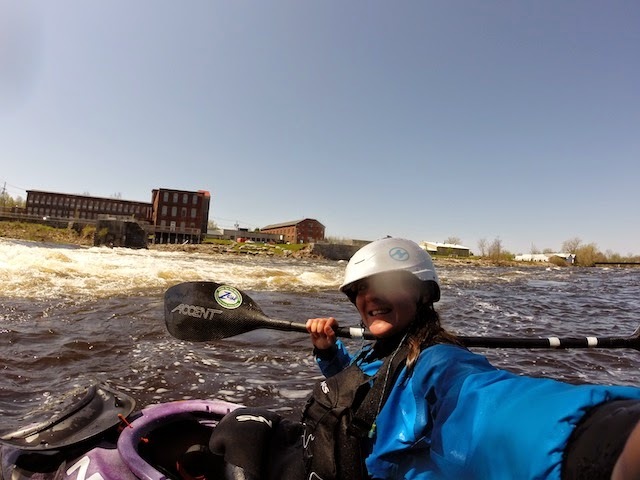 I didn’t get to race as much in May since I worked but I did get to race the BoatEater Challenge in Burlington, CT on the Farmington River. The race was 6 miles long mostly class I with maybe 2 class II’s. I raced this sweet new kayak that I bought off this guy from Maine called the River Runner R5, it’s pretty old school and around 13 feet. It’s going to be a great Lozer Cup boat! I placed 2nd in the long boat class. I tried really hard to beat Jean in her Cobra Viper which is 16 and a half feet long but I couldn’t catch her. I also want that boat now! It was a fun race trying to chase her down and big props to her for maneuvering that beast in the rocky sections. Jeff also raced in the Wave Hopper and came in 3rd place. He was pretty happy with that and because he beat my time. He’s getting fast, I’ve got some work to do! Haley Mills came to visit and spent a few days with us in VT and then we spent a week in NY paddling on the Black River. 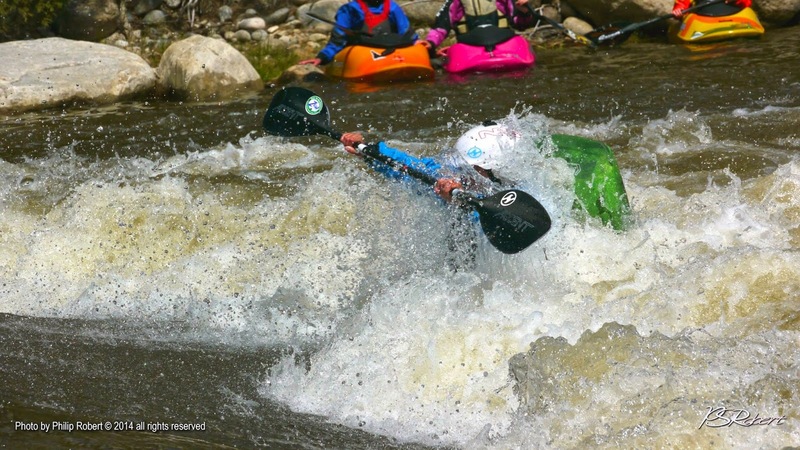 The levels were around 6,000 cfs making Hole Brothers a funky wave hole. 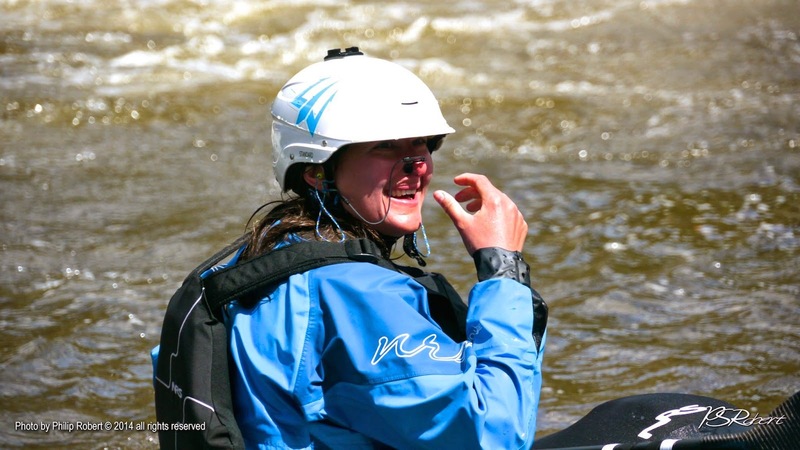 It’s a tricky level but still pretty fun and a great way to get you into paddling shape. We had a great week hanging out and paddling. Next up in May was my trip to CO. I flew to Buena Vista to attend the BV Pro Rodeo and CKS Paddle Fest. I rented a mini-van which was my home for the week. I was excited to paddle my Wave Sport Mobius in the BV play park. There’s a bunch of different play features, each offering up some really good tricks. The Mobius is a great boat to have in BV with all the different spots you can play in. The Mobius is a great all around play boat which will give you big pop for loops and other hole tricks plus a fast hull for blunts and other wave tricks. CKS has the Wave Sport Mobius in all 3 sizes to demo so you can see for yourself. BV always gets me in trouble and this year I didn’t have Jeff to get into trouble with me so I was on my own. CKS had an opening party for the event and I decided to go big and “ElaineCation” kicked into full swing. It was not a great idea because I had to compete the next day but I was on vacation! It was a fun night of music, screaming, laughing and dancing! Friday morning came quickly and I was not feeling so well and pretty much spent most of the day sleeping. We competed at 3pm so I had some time to rest. I finally got myself up and ready to compete. I decided to take a couple of practice rides which was fun and I felt good. When the comp started I couldn’t get any of my tricks to go and I couldn’t catch my breath because of the elevation. The final result was no finals for me which was all good I was not disappointed. I had a great time competing and judging. The Paddle Fest itself went well. I worked in the shop for both days getting people into Wave Sport boats and talked to people about gear, paddling, and life. Jeff’s step-brother and family showed up and I got to hang out with them which was really great! It was another great Paddle Fest in BV! I love that town! 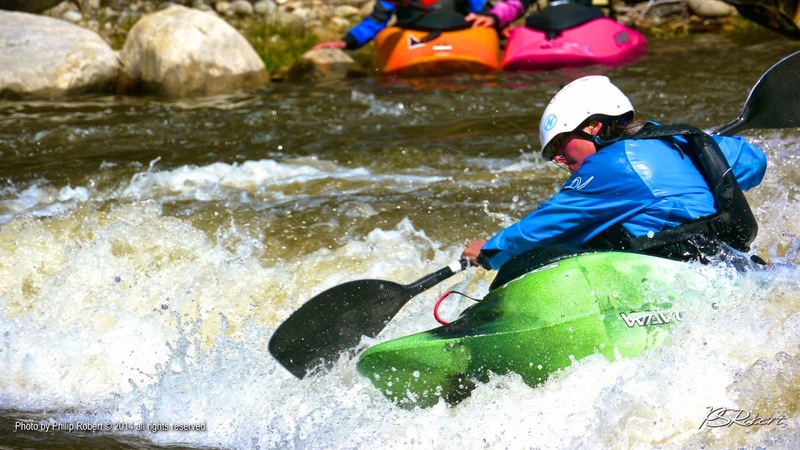 Next up for me is to get back into Wild Water racing shape and I’ll be at the Zoar Outdoor Demo Fest which is June 20-22. Looping my Wave Sport Mobius 49 in BV. 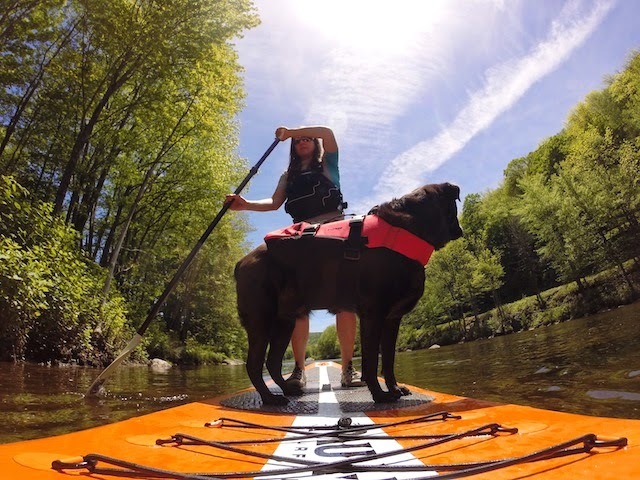 SUPing with Brook in VT.